The Logan County Public Library was King’s first “real” job, and he liked it so much he has never left. 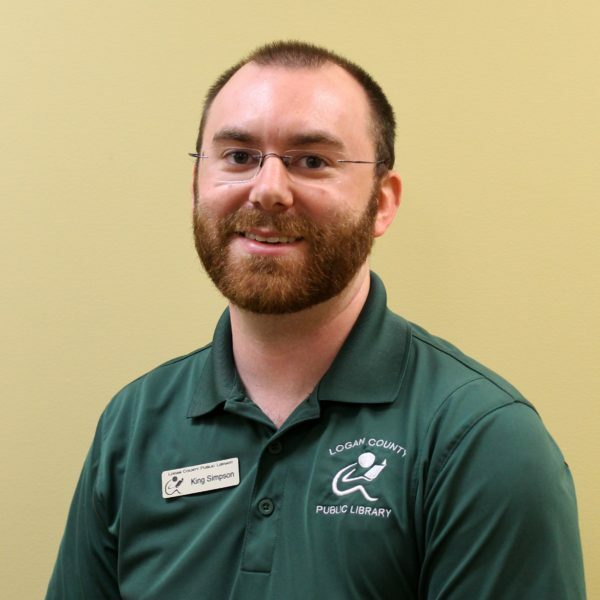 He has a Bachelor’s degree in Business Management from WKU and a Master’s of Science in Library Science from UK. King is also the treasurer of the Kentucky Public Library Association and president-elect of the Logan County Chamber of Commerce board. When not working at the library, he enjoys spending time with his wife (Taylor) and son (Ian) on their family farm. He also enjoys working out, watching sports (especially Hilltopper basketball and football), and reading across a variety of genres.